"Windows on the Sea" is a gem just waiting for its new owner to give it the finishing polishes. This semi-oceanfront with spacious views of the ocean has the perfect formula to be great investment. A really grand swimming pool and tiki bar were a 2005 addition that topped off a home with a cool pine floors upstairs, a top floor master suite, mid-level master and bath, plus two more beds and a hall bath, and an underutilized entry level room that is currently an extra place to stretch out on the sofa and watch TV. Exterior painting was just wrapped up this February. It's clean and ready for the season and has a strong rental history in the high $30,000's annually. Add some personal touches, update a few furnishings, and imagine a smart use for the downstairs room and really ramp up its potential to be a rental machine. The seller is offering buyers a $5,000 closing cost credit to allow funds for some of your personal updates. This location is truly grand with views that shouldn't be disturbed by crowded construction. Come see the ocean from Windows on the Sea. 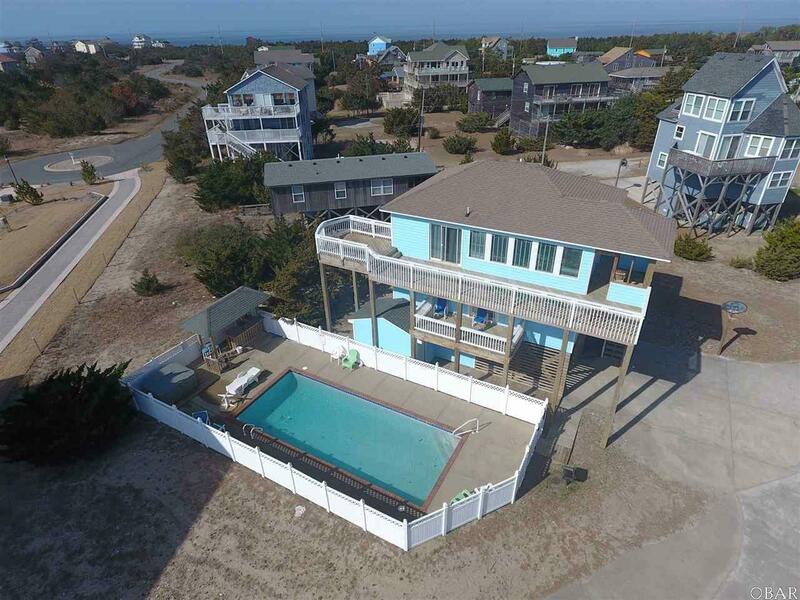 © 2019 Outer Banks Association of Realtors MLS. IDX information is provided exclusively for consumers' personal, non-commercial use and may not be used for any purpose other than to identify prospective properties consumers may be interested in purchasing. Information is deemed reliable but is not guaranteed accurate by the MLS or Trisha Midgett - Midgett Realty. Data last updated: 2019-04-18T10:37:36.277.